Version 1.3 of Rampage Knights on Steam is out! This update makes the changes from the “Beta” version public along with other small fixes. We have been working on improvements and fixes of the networking implementation to address lags some people are experiencing in online co-op. We have completly rewritten big chunk of the multiplayer implementation and the code that synchronizes inputs between the host and the client. We have implemented several new optimizations that should help the game run better in online mode and also on slower computers and notebooks. These are major changes with possible unforseen consequences, so if you experience any issues or crashes please report them in the Community Hub’s Discussions. There is a new “Network rate” option available in the game. The option specifies how frequently the game sends packets between the host and the client. We recommend keeping the network rate at “fast” unless you experience some networking issues. (For example, if you are on wi-fi network and you see freezes or lags, you can try to set the network rate to medium.) 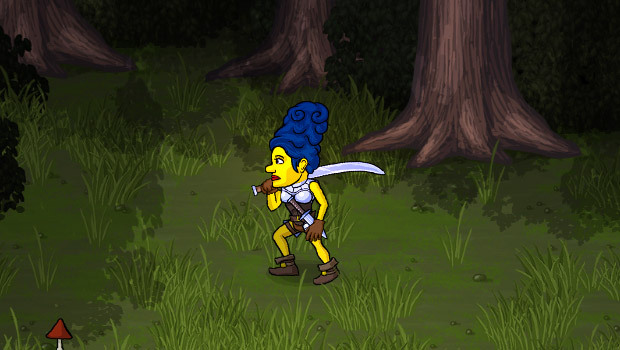 Slower network rates are less demanding on your connection but the movement of enemies and other player may seem more jerky. Assassin always uses stomp on ghoul heads instead of assassination skill. Ghoul heads cannot be hit by melee attacks. You can kill them by stomping or dashing. Pirate’s parrot cannot hit ghoul heads lying on the ground. Damage taken after drinking Mountainer’s Schnaps potion does not hit hero’s armor or divine shield. Effects from Mountainer’s Schnaps and Buff from the Pit are stackable. Achievement Friendship is Magic is now properly rewarded in local co-op game. Mod items are showing proper (big) icon in the “last acquired” panel. Victory screen scroll is no longer cut off in 4:3 resolution. Fixed bug where skins from items and status effects were not applied properly during ressurect animation in online co-op. Sometimes in online co-op with high pings the “death fanfare” was played twice or it was played even if no hero really died. This could also happen for sound played when a golden chest was opened. This bug is now fixed. Complete rewrite of multiplayer implementation and input synchronization between the host and the client to address lags some people are experiencing. Added “Network rate” option to control frequency of network updates between the host and the client. Fixed “desync” and “input frame mismatch” errors. Fixed crash when trying to continue saved online game on clients. If you were participating in the “Beta” build, we recommend you to switch back to public version. We may use the beta branch for testing in future which can make the game more unstable and bugged temporarily. In your Steam library, right click on Rampage Knights and click “Properties”. Select “BETAS” tab. Click the list below and select “NONE – Opt out of all beta programs.” item in the list. Click close. Steam should automatically switch to non-beta build. You should see “Rampage Knights” instead of “Rampage Knights [beta]” in your Steam library. 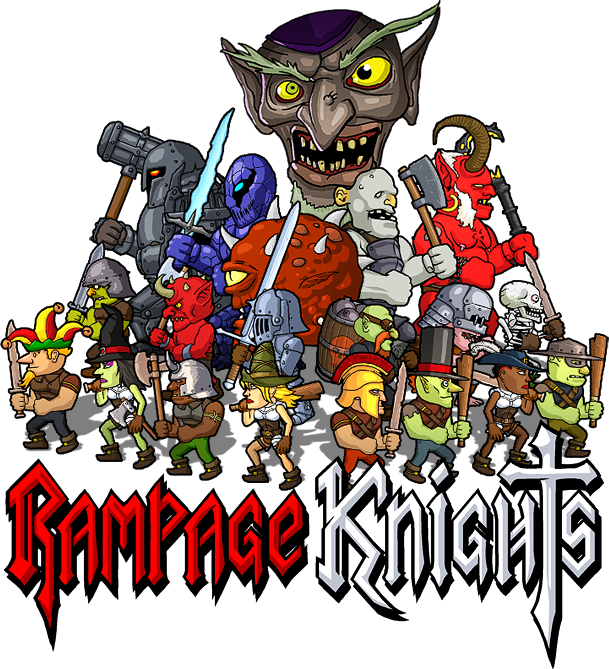 Version 1.2 of Rampage Knights on Steam is out! New faces for female hero. Hat skins hide female hair correctly. Hero’s jump is a little bit longer. Battlemage has correct spell damage bonus on start. Arcane ball is twice stronger, but recharges slower. Ice wizards don’t attack so frequently and they don’t start attacking when their target is already frozen. Lying enemies with shield can be stomped and assassinated. Assassin always use stomp to kill torso enemies instead of using assassination. Enemies hit by Sparkling Orb play hit animations. Lightning Rod and Sparkling Orb don’t break shields but enemies cannot block the damage. Fixed bug where players with giant’s strength could not hit enemies with Sparkling Orb. On casual difficulty full health is restored at the beginning of each level. Fixed bug where Teleporter Stone nad Battlemage’s teleport could put the player outside of room. Hit counter increases even if you hit enemies with 0 dmg by Ethereal sword. Crank curse heals players even if an enemy is hit with 0 dmg by Ethereal sword, as long as the hit is not blocked by shield. Curse Tainted Blood reduces vitality by 25% instead of 50%. Crank curse cannot be automatically obtained at the beginning of the levels on insane difficulty. Barriers spawned by the final boss can be destroyed by projectiles. Removed “floatiness” of the player’s flying controls in the final boss fight. Ground flame traps are not counted as spikes (but they still can be destroyed by iron boots). They don’t do damage until flames are visible. Player on flying carpet doesn’t take damage from spikes. Player with iron boots on flying carpet won’t destroy spikes. Pirate’s parrot doesn’t talk so often. Mighty foot marker is not covered by flying carpet. “Sep”, the poisoneous green haired demon, is now immune to poison. Giant Knight’s shield breaks down properly. No more than 5 decorations can be animated at once from curse animate. Fixed missing animations of some decorations animated by curse animate. Fixed crash when Scroll of Transmogrification was used on some weapons. Training skeletons in camp do not count towards the Gooooooal! and Breaking Through achievements. Fixed bug where teleporting to spikes didn’t do damage to the player for one second. Crates can be hit by projectiles. Fixed wizards playing death sound twice. Sound for roll and double jump whizzing is quieter. Fixed some typos in achievements and parrot texts. Implemented online co-op save. If the host quits the game in progress, the game is saved and you can continue the game later the same way as in single-player and local co-op games. If the hosting player is ghost, make sure the client connects quickly, otherwise game over will be triggered. Fixed some networking bugs/crashes when the client reconnects quickly to the host or when synchronization of the client with the host failed. Fixed networking bug where the host could get frozen when the client was not disconnected properly. Added option to disable controller support in the game for people who use external utilities for mapping controller buttons to keyboard keys. Improved performance by preventing too many overlapping blood stains on ground. Updated to newer version of sound library the game uses. The release of Rampage Knights is here! After 5 months in Early Access the game is finally ready. Big thanks to everyone who was supporting us during the Early Access. We must have one of the nicest community out there! Thanks for all the suggestions, feedback and moral support. It helped a lot to get the games to this state. The work is not over for us. We will continue to gather suggestions from the discussion board and we are going to improve the game according to your feedback. Fixed skin for female characters. Power Gloves and Kraken Idol change female hands properly. Fixed bug with spawning enemies. Boomers and Giant Knights spawn again in the game. Fixed minor bug with Beholder’s death particles. Using altar cost 10 gold (except demonic altars). Casual difficulty unlocks after 3 death instead of 5 (Please Don’t Hurt Me! achievement). Gold Rush event triggered from altars generates more gold now. Achievement El Dorado requires 70 gold to be collected during the Gold Rush event. You have to pay 13 gold to play cards with the devil. Credits added to the main menu. Shadow world randomization does not give player lowest tier weapons. Projectiles fired by the warlock’s familiars do not hit the other player in co-op. Fixed bug in online co-op where the client could crash when connecting to the host and between level transitions.